Colin Cowherd of Fox Sports said an anonymous source told him that Russell Westbrook’s agent is the one 'funneling' Paul George staying in OKC rumors. Paul George’s impending free agency is going to be one of the biggest storylines to watch this summer. With the ability to opt out of the final year of his current deal, George is expected to meet a lot of suitors starting July 1, including his favorite team growing up – the Los Angeles Lakers. The Lakers’ obsession with George has been well documented ever since Magic Johnson assumed the role as president of basketball operations. 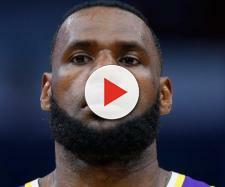 The Lakers, a big-market franchise with a rich history, have been eager to return to contention after a five-year absence from the NBA postseason. Johnson and general manager Rob Pelinka have orchestrated several strategic moves in the past few months in an attempt to create enough cap space to lure in superstar players like Paul George. Now, the Lakers could be mere days away from making their grand plan a reality. Armed with two max-salary slots, they not only possess the appeal but also the resources to make some serious noise in this year’s free agency. The biggest competitor that stands in the Lakers' way is the Oklahoma City Thunder, where George played during the previous season. The Thunder may have come up short in the first year of their George/Westbrook/Anthony experiment, but the front office is hopeful that the All-Star winger will consider giving the super team experiment another shot by remaining with the team. Adrian Wojnarowski of ESPN reported last week that the chance of George sticking with the Thunder for another season was gaining steam. However, Colin Cowherd of Fox Sports went against that report last Thursday, stating that all the rumors about George staying with the Thunder are being pushed by Russell Westbrook’s agent. The Lakers are positioned well for the summer of 2018 following a series of transactions that enabled them to have around $60 million in cap space, which is more or less the equivalent of two max salary slots. George, LeBron James, and Chris Paul are just some of the names that have been popping up as potential free agency acquisitions for Los Angeles. Their payroll flexibility also allows the Lakers to stay in the hunt for superstars available on the trade market. There is no bigger potential trade target out there than Kawhi Leonard, a former two-time Defensive Player of the Year and All-NBA first team member. The two-way superstar has reportedly asked the San Antonio Spurs for a trade following a season filled with a lot of drama surrounding his quad injury. Wojnarowski reported on Tuesday that Spurs head coach Gregg Popovich met with Leonard in an attempt to rekindle the fire in their cooling relationship. However, the insider also noted that the star is apparently determined to get out of San Antonio, even if it means forfeiting the opportunity to sign a five-year, $219 million super-max extension. 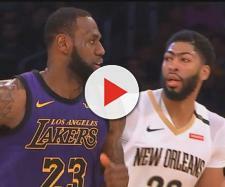 Brian Windhorst of ESPN speculated that Leonard might be in contact with other stars, particularly George and James, and these players could be looking to form a new superteam in Los Angeles.